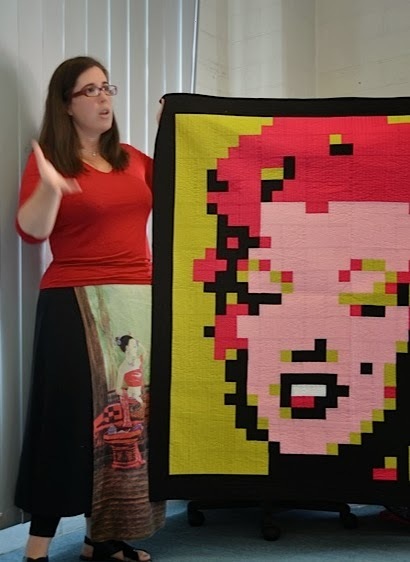 Last week, I wrote about the quilting side of pixel quilt making. Moving right along, I thought it would be good to have a bit of a look at binding and backing choices. As with most other quilts I've made, I make the quilt top first and then wait to see how the quilt top 'speaks' to me before I choose a backing and binding. 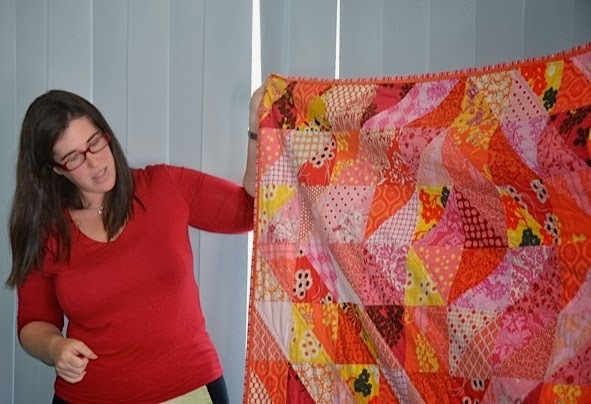 The great thing about these pixel quilts is that all the fabrics on the quilt top are solids. That means I get to go completely crazy with backing fabric choices. Of course, I do think about the thread colors I will use in the quilting to make sure the backing fabrics will happily play with those thread colors. I had such fun raiding my stash of vintage sheets for the back of my bunny quilt. Even though the front of the quilt had no greens in it, I loved the idea of my bunny frolicking in a green field of 70's flowers. The lilac binding worked perfectly with the backing and framed the front of the quilt nicely. I usually opt for a much bolder binding but this quilt just seemed to cry out for softer, prettier choice. It really works! I couldn't resist this lime and pink backing fabric for Marilyn. I thought she would have approved of the flowers and butterflies. I found it at Amitie and bought whatever was left on the bolt!! Loved it THAT much!!! And given the black border that I added to this quilt after I'd quilted it (remember?) a black binding was really the only choice. The backing for Groucho was also a wonderful Amitie find. 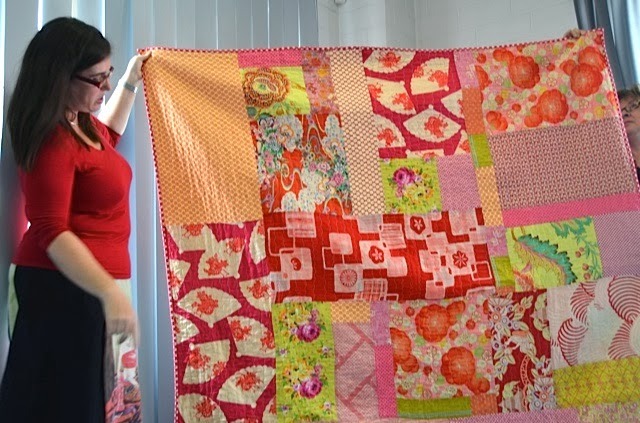 I knew it would absorb the quilting beautifully ... and it did!! I made a binding that would change color as the colors around the edge of the quilt changed. I think I did a pretty good job of matching up the seams. I usually love a binding to create a frame for the quilt but in this case ... with the image moving out beyond the edges of the quilt ... I knew a frame such as a black binding would only serve to contain the image rather than allow it to breathe. Does that make any sense? 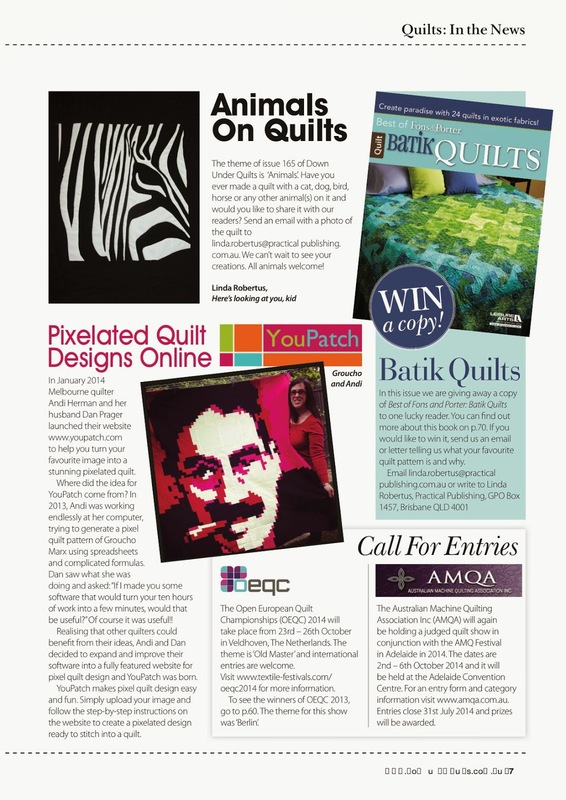 With YouPatch still in it's very early days, we have yet to see any pixel quilt finishes from our lovely customers. 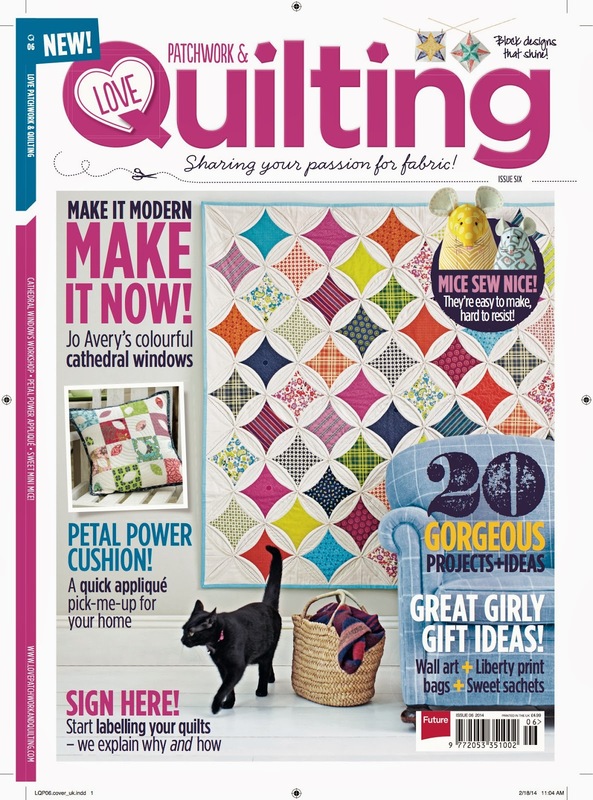 So I am extremely excited to see what wonderful choices people make with their pixel quilt bindings, backings and quilting designs. 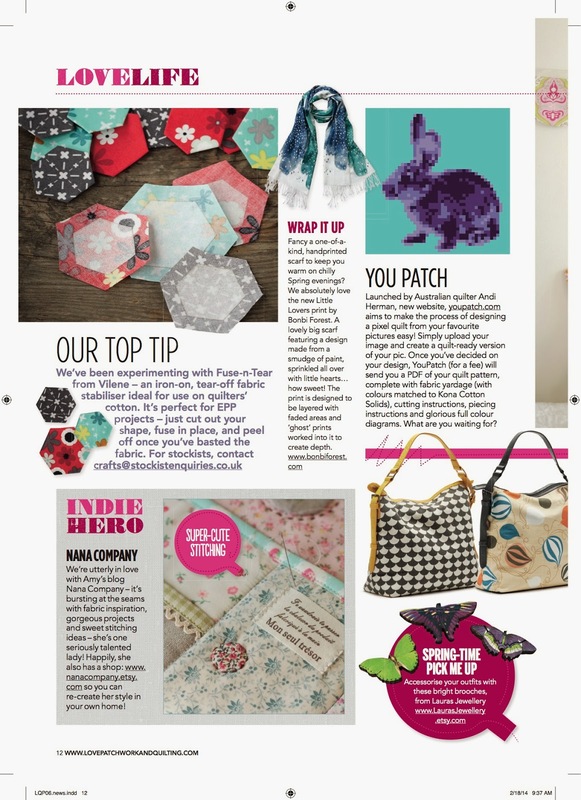 Can't wait to see what everyone is stitching!! This whole pixel quilt thing is, while very exciting, still fairly new to me! 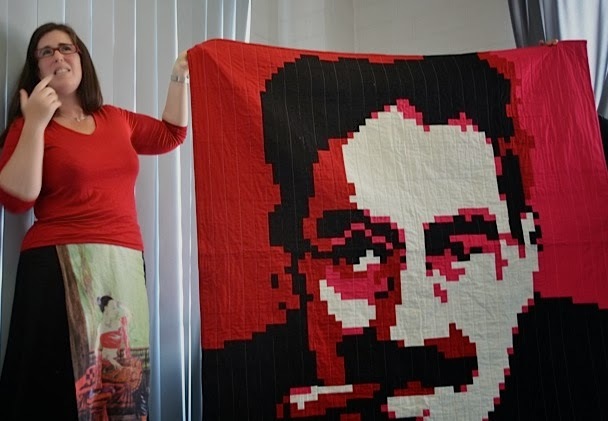 So far I have completed 3 pixel quilts: Groucho, Marilyn and my Purple Bunny. The piecing is incredibly straightforward as I just need to follow the detailed instructions in the YouPatch patterns. But the rest has been a big learning experience for me! This has been the biggest hurdle for me to overcome. How do I quilt these quilts? What color thread to use? 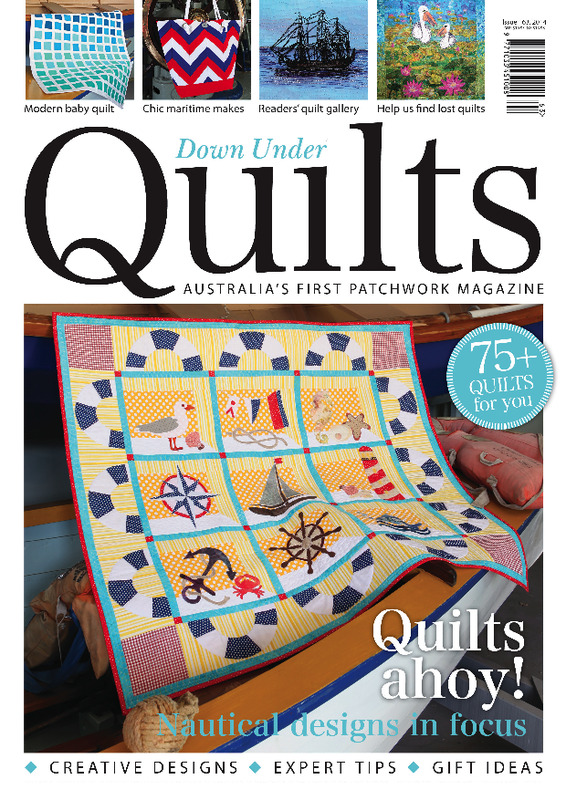 What quilting designs will work? Well, having now quilted 3 of them, I can say that anything goes really. I have kept the quilting really simple which works, I think! I quilted the Marilyn quilt using organic free-motion lines, carefully matching the thread color to the fabric color. This is not a method I would choose for anything other than a wall hanging. I think this dense quilting (about 0.5 inches apart) causes the quilt to lose the snuggle factor. Also, this method took a very long time ... as you can well imagine! But the overall effect looks great and really adds interest to the piece. Next, I quilted Groucho. I had lots of ideas for this one but ended up with very simple vertical lines about 2 inches apart. I chose a light grey thread color as I didn't want to create too many visible lines on the white parts of the face. Why not choose white thread then? Well, the grey still blended nicely into the white fabric without being too stark on the other colors. I quite like how the lines create a kind of pin-stripe look on Groucho's black coat. Very apt for a man of his vintage. For my Bunny, I went with another simple design, a diagonal cross-hatch about 2 inches apart. I selected a medium purple thread color to blend as much as possible with the bunny in the foreground, while creating a nice cross-hatchy design on the greeny-blue background color. 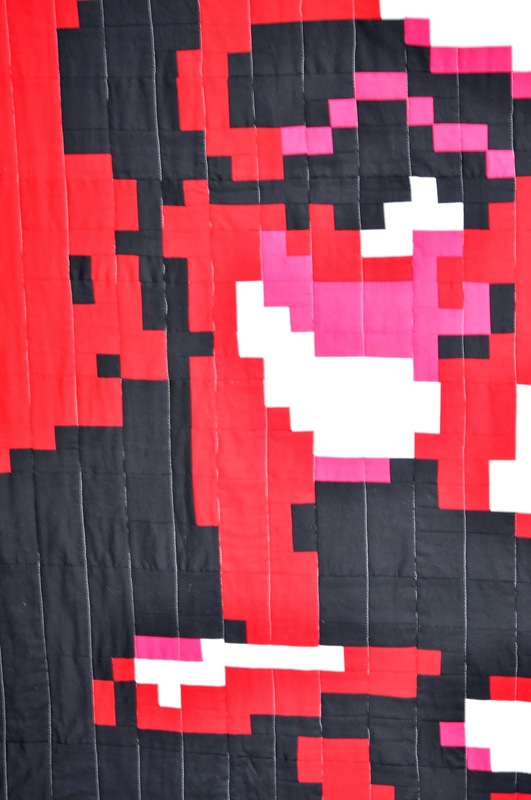 Have you made a pixel quilt yet? How have you quilted it? Do you have any other ideas to add to the mix? I'll be back soon with Part 2 and with some other exciting YouPatch announcements. Have a great stitchy day.